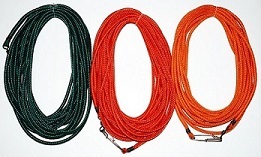 Rob Allen Foam Filled 3/8" Polypropylene Floatline - available in Black/Green combo or Orange. 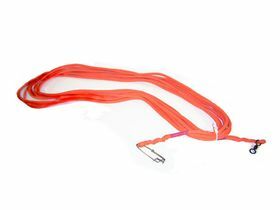 Rugged line, very strong, just enough positively bouyant to help prevent line tangles when you attach your float line to your speargun. Comes standard with a clip on one end and a swivel on the other. 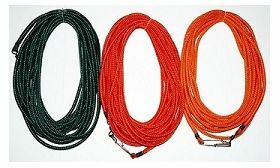 Available in various lengths from 30' to 150' (10 TO 45 METERS).